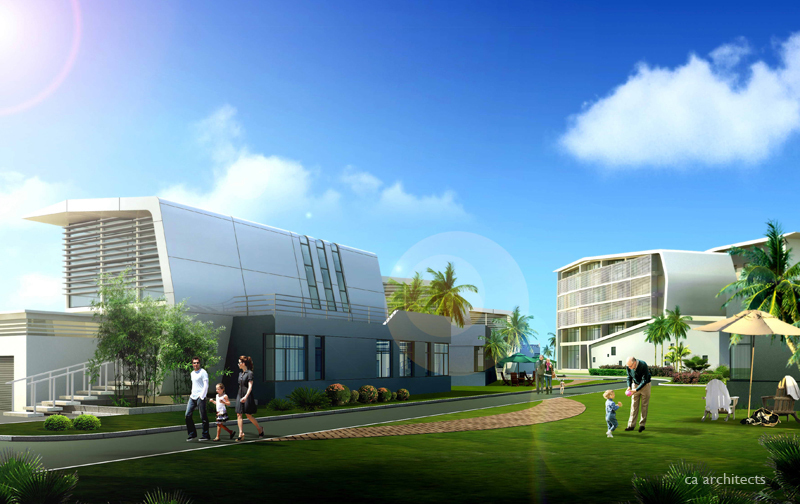 This residential development in Hainan, China, a resort area, was designed to be responsive to its tropical environment. CA’s design extensively utilized passive solar combined with sun control, to optimize the natural attributes of the location with an environmentally sensitive design. The landscape design, with its florescent plantings, further highlighted this magical, tropical location.